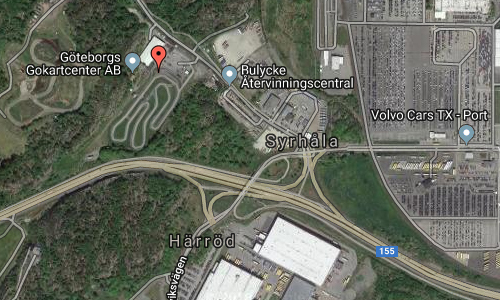 Göteborgs Gokartcenter is located on Bulyckevägen in Syrhåla on Hisingen in Göteborg. 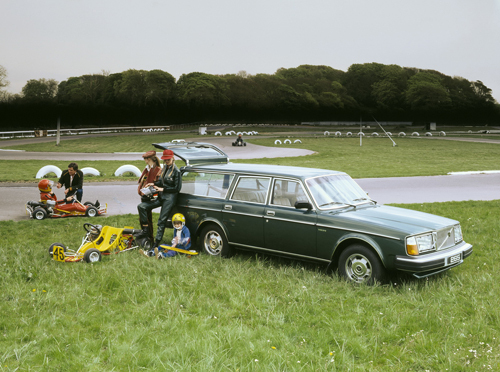 It is just west of the Volvo factory in Torslanda. 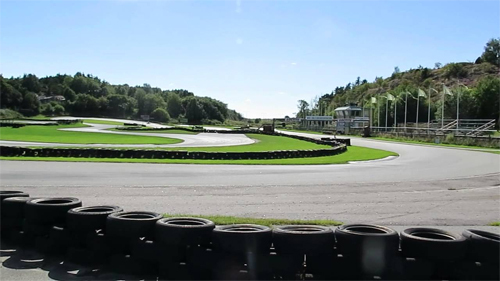 This gokart center is the only outdoor track in Göteborg. The outdoor track is 1010 meters long and has lots of long, sweeping curves. 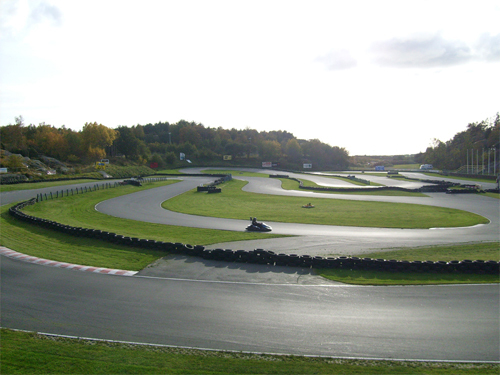 The track is equipped with electronic timing and the spectators can follow the lap times and results on a TV-screen. The go carts they use outdoors are Caroli Hammerheads with a 270 cc engine. The top speed on the long straights reach close to 80 km/h. A good laptime on this track is around 58 seconds. Their indoor track is available for both adults and children and they can drive together! The instructors divide the groups into slow and fast if needed so that your experience with us will be as good as possible. The indoor track is 300 meters long. It is a technical and intense asphalt track with good rhythm. The cars they use indoors are Caroli Hammerheads with a 200 cc engine, well adapted to our particular track and the conditions that prevail here. On the big screen, you can follow lap times and position. ​On this track we can drive up to a maximum of 8 gocarts simultaneously. Drop-in, if you just want to come and drive without booking, this takes place during our open drop-in times. ​​​​​​​Drop-in times vary depending on bookings and you can find the times for the next three days under Drop-In times here on the page. Syrhåla is a district on western Hisingen in Göteborg. 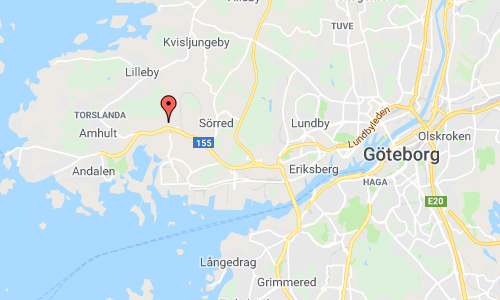 The district was formed by decision of the magistrate in Göteborg on March 3, 1957, when Arendal was divided into the Arendal and Syrhåla districts. The name Syrhåla is dated from 1550 from Siöralla. The meaning is a marshy place, sour land (Sürhola) of the low and moist soil between the mountains, east and southeast of the older village. More information at robusta.se and sv.wikipedia.org.